Planning a successful corporate event requires you to juggle a lot of pieces, from selecting an appropriate venue for your particular event and the anticipated guest list to decorating your space and choosing suitable entertainment. The food you serve is also of the utmost importance, and the choices you make will depend on the type, duration, and size of your event. Whether you’re planning a corporate meeting, a charity event, or a multi-day conference, you need to make sure guests have adequate food options to ensure they are satisfied and receptive to your messaging. This requires more than simply tapping random corporate and wedding catering services to figure it all out for you. If you want to make sure your goals are met, you need to be involved in the process and you must avoid common mistakes that could undermine your success. Here are just a few corporate catering blunders you’ll definitely want to steer clear of. One of the biggest mistakes when it comes to planning catering services for a corporate event is failing to create a suitable budget. 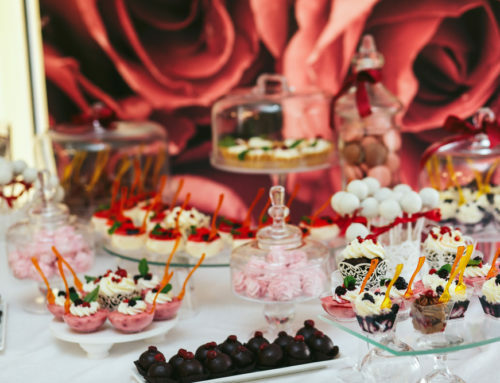 If you’re planning an event for the first time, you might need to seek quotes for different levels of catering just to get a rough idea of what you should reasonably expect to pay per head. Naturally, you should go in with some idea of the number of guests you’ll be hosting. If your budget is set and it’s simply not flexible, you can certainly shop around for catering options, but you might also want to consider alternatives to traditional, full-service meals. Many events these days feature options like taco or tapas bars that require less preparation and reduced service staff, helping you to stick to a lower budget while still providing ample food. 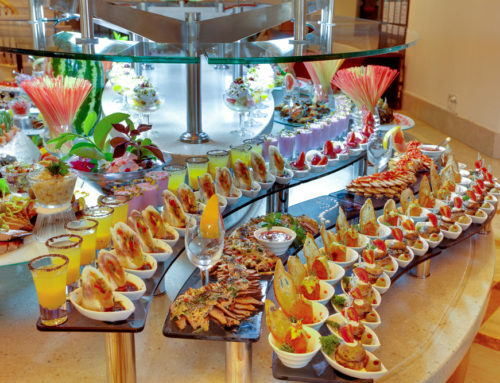 Finding the right catering service for your needs could require you to do some research. This means making appointments to learn more about menus, rates, and availability, as well as scheduling tastings to sample menu items. Just keep in mind that many caterers charge for tastings, so make sure to work this into your budget. If you’re not sure where to start, try asking colleagues for referrals, checking reviews online, and simply looking at menus to see what appeals to you. From there you can decide which catering services to visit and learn more about. It’s important to understand your options so you can make the right choice for your upcoming corporate event. Sometimes hasty planning can’t be helped – you might have to hurriedly throw together a last-minute event. However, if you have considerable time before your event, it pays to start looking for a suitable catering service early on so you have plenty of time to shop around, check menus, get quotes, and lock in your date. Booking late could mean you’re unable to secure your preferred service provider. So many people these days suffer from food allergies or follow special diets – you can hardly be expected to keep up. And yet, your guests will certainly appreciate the effort. You can try to choose a menu that lacks the most common allergens (nuts, soybeans, shellfish, etc.) and at least consider options that exclude common dietary restrictions like gluten and dairy. Plenty of corporate and wedding catering services these days offer modern recipes that avoid ingredients modern diners seem to be cutting out in larger and larger numbers. You could always ask guests to enumerate food allergies or dietary restrictions when they register for your event, but you needn’t necessarily go to the trouble when you team up with an Asheville catering service that offers creative, modern dishes to accommodate a wide variety of preferences. Don’t forget, you don’t necessarily have to stick to a traditional sit-down meal. Many corporate events these days feature specialty food options like snack bars situated throughout the venue or at cocktail hours. You can choose from traditional options like breakfast, luncheon, or full-service catered dinners, or throw in box lunches, specialty food stations, dessert packages, or a mobile bar and hors-d’oeuvres. There are all kinds of pitfalls you’ll want to avoid when choosing the right catering service for your corporate event, but when you set your budget, allow plenty of time to shop around, and maintain an open mind where your menu is concerned, you can create a truly unique and memorable culinary experience for guests. Don’t hesitate to contact the seasoned professionals at Dining Innovations by phone at 828-210-2220 or online to learn more about the innovative catering solutions they offer for weddings and corporate events alike.